Priyanka also attacked the BJP for its critical views on NYAY (Nyuntam Aay Yojana) promised by Rahul Gandhi. Congress General Secretary Priyanka Gandhi has slammed the BJP for equating the Gandhi family with royalty and pointed out that it was her grandmother Indira Gandhi who abolished the privileges of princely families. Interacting with the students of Sunbeam Public School in Ayodhya on Friday, Gandhi also said that her “emotional dream” was to see an India where no one was questioned over his religion. 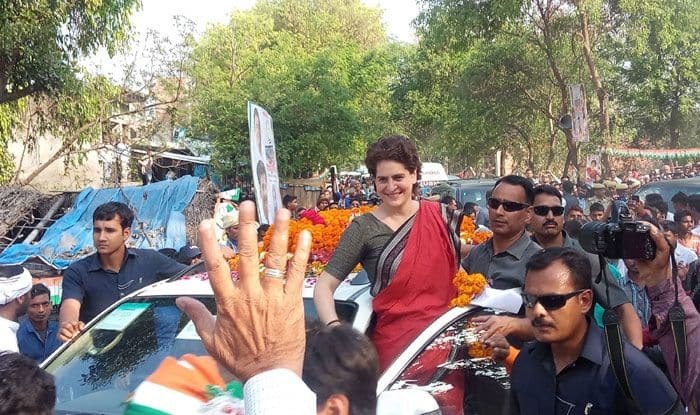 On a three-day trip, Priyanka Gandhi visited her brother and Congress president Rahul Gandhi’s constituency Amethi and her mother and UPA Chairperson Sonia Gandhi’s constituency of Rae Bareli before reaching Ayodhya. She also attacked the BJP for its critical views on NYAY (Nyuntam Aay Yojana) promised by Rahul Gandhi.